It is more important to know what sort of person has a disease than what sort of disease a person has. Left to right: Hannah Wise, CNN; Dr. Anna Erat, Hirslanden; Dr. Christoph Nabholz, SwissRe; Manuela Andaloro, SmartBIzHub; Dr. Robert . 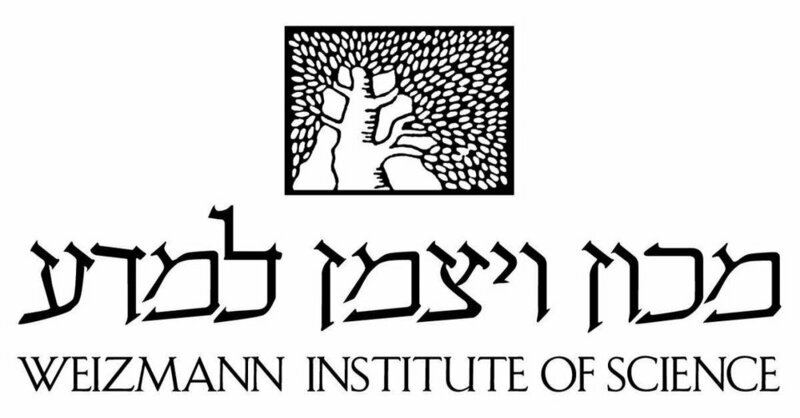 Fluhr, Weizmann Institute of Science. Personalized medicine consists on the tailoring of medical treatment to the individual characteristics of each person. It relies on the understanding of a person’s unique genetic profile, on what makes the individual susceptible to developing certain diseases and aims at predicting what medical solutions might result safer and most successful. Doctors will be able to select treatments based on the individual genetic making of patients, minimizing harmful side effects, and ensuring higher chances for the most successful outcomes. This approach is radically different to the current “standards of care” which defines the best course of prevention and treatment for the general population. Only when the first, standard treatment does not work, doctors and patients move to the next possible treatment and then the next. The current “standard of care” misses the key question, will this treatment work for me? Can personalized data deliver the answer? And what does this approach mean for individual patients, doctors and other incumbents in the healthcare industry? In what cases does PM work? In what cases is current approach better? Is the prospect of a DNA ID card likely? How much does our genetic making affect our health, over our environment or lifestyle choices? How are we influencing genetics? In what cases is DNA-based medicine applied? What will health insurance make of personalized health data? It is no question that this immense amount of health data will be utilized by health insurance companies. The question is rather how they will do it. Will they leverage on data to make premiums higher for high-risk patients or to reduce their business risks by alerting patients about bad lifestyle choices? What will happen to patients’ private data? Should we prepare for Dr. Big Brother? How will the relationship between employers, employees and health insurance companies change in the light of easily obtainable personal fitness and health data? Personalized medicine will be based on collecting and analyzing large amounts of individuals’ sensitive data, such as, genetic making, clinical data, environmental details and life habits. How will data be managed? The future is bright for genetic testing, but it's a double-edged sword for insurers. Genetic testing kits have gone mainstream, medically prescribed tests are more accessible, and the results promise positive things like early diagnosis and healthier living. However, if not treated in a careful, balanced way, this information could also put life insurers – and the security they provide – in a challenging situation. So, who's taking genetic tests? And what do they do with their information? What are the implications for life insurance and what steps can we take to mitigate the risks of anti-selection? At the same time, how can we leverage the benefits of genetic testing to offer affordable insurance that supports healthier, longer lives? The latest SwissRe report, released in March 2019, provides new insights into these questions and more. Head, Department of Life Sciences Core Facilities; Director, Nancy and Stephen Grand Israel National Center for Personalized Medicine, Weizmann Institute of Science. Prof. Robert Fluhr was born in Brooklyn, New York. He received his BSc from the Hebrew University of Jerusalem, and a PhD from the Weizmann Institute of Science in 1984. He spent several years as a Research Fellow at Rockefeller University’s Department of Plant Molecular Biology, before joining the Weizmann Institute’s Department of Plant Genetics (now the Department of Plant and Environemntal Sciences) in 1986, and headed the Department from 1997-2003. Since 2009, he has been head of the Life Science Core Facilities (formerly Biological Services) and in the end of 2018 became the director of the Nancy and Stephen Grand Israel National Center for Personalized Medicine. He is the incumbent of the Sir Siegmund Warburg Professorial Chair of Agricultural Molecular Biology. Prof. Fluhr received the Yigal Alon Career Development Award (1986-1989) and the Morris L. Levinson Prize in Biology (1992). He has served as President of the Israel Society for Plant Cell Culture and Molecular Biology (1993-1994). From 1996-2001, he directed the National Resource Center for Plant Genome Biotechnology, under the auspices of the Israel Ministry of Science. Since 2017 Dr. Christoph Nabholz leads an R&D team that aims at improving the understanding of trends and developments in human behaviour, morbidity and mortality. The gained R&D insights are used to strengthen the performance and innovation of Swiss Re's Life & Health books. Topics addressed include genetic testing, ageing populations and consumer health behaviours, which prompt debate and initiate the co-creation of novel insurance solutions. From 2007 to 2016 Christoph Nabholz headed Business Development at the Swiss Re Centre for Global Dialogue, where he and his team were mandated to develop dialogue and debate, with experts at world class institutions, on key insurance industry topics. From 2002 to 2006, Christoph Nabholz was in Swiss Re Global Life & Health Underwriting and served as Swiss Re’s Global Genetics Consultant. From 1999 to 2002, he was a postdoctoral research fellow in genomics and functional genetics at Harvard University. Deputy Director, Hirslanden, International Medical Center. Dr. Anna Erat studied medicine and trained in molecular and biomedical research at the University of Zurich and Harvard Medical School. Subsequently she was invited to Harvard Medical School as a post-doctoral fellow and consultant. In parallel, she also completed a Doctorate in Health Systems Management at the Business Faculty of the University of Zurich and SwissTPH. After finishing her scientific training she worked as a consultant for the pharma- and biotech-industry in Switzerland and also as an expert for the Ministry of Health. Before finishing her training in internal medicine and sports medicine, sahe attended an executive management program at Harvard Business School. She is currently the Deputy Director of the Hirslanden International Medical Center and a national team doctor for the Swiss Ice Hockey Federation. She is a consultant in sports medicine for the AlphaClinic, as well as for events such as Art on Ice and the Scandinavian beach Polo World Cup. In addition, she sits on numerous advisory boards in Switzerland. Hannah Wise is a seasoned international journalist, with nearly 18 years experience in front of the camera. She started her career at the BBC in London working on local and national news stories before relocating to Paris to become an anchor of their flagship breakfast programme. In 2014 she moved to Switzerland and became launch anchor for the new English language business channel CNNMoney Switzerland. Hannah loves to tell the stories behind the businesses that shape our economy as well as the challenge of a live and demanding interview. She lives in the Swiss countryside with her young family. Manuela Andaloro is a senior professional with over 19 years of executive experience in global roles in financial services, business strategy, digital transformation and engagement, having lived and worked in Milan, London and Zurich. 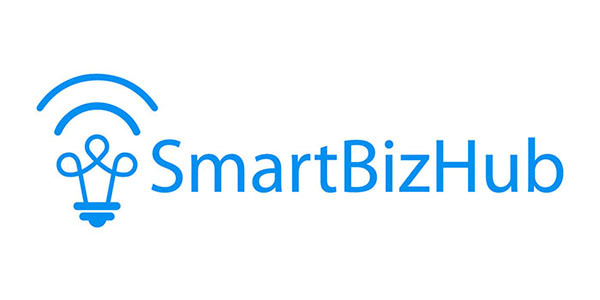 Since 2017, she is CEO and Founder of Swiss-based SmartBizHub, an exclusive consultancy that provides value in the form of strategic positioning - with an impact and sustainable angle. In March 2018 she also founded SmartPlan – a strong cross-sector business community that delivers insights on future tech and future work. Manuela runs since 2014 a successful blog on culture and impact, capturing best practices, thought-leading content, and interviews to impact-makers and EQ-led leaders who are driving our world forward. She is a board member of various Swiss and international organisations, including the Weizmann Young European Network (WYEN) of the Weizmann Institute of Science. She is a D&I champion, advocate for diversity, gender equality and STEM education, speaks English, Italian, German and Spanish and lives in Zurich with her husband and two children.